To be awarded the sail number US-1 by US Sailing, a racing yacht must be special indeed. Not only must she be well-designed, strongly built and fast, she must be sailed by a talented, motivated and enthusiastic crew under the leadership of a driven, determined owner and skipper. 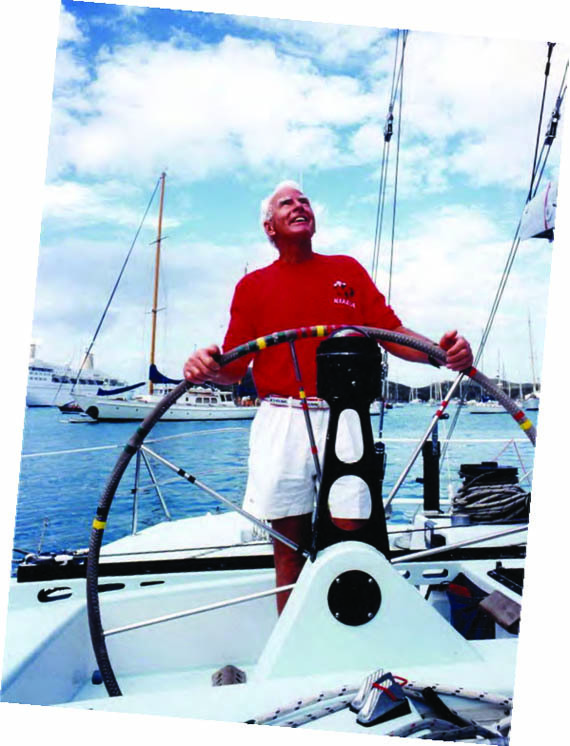 KIALOA US-1: Dare To Win, the autobiography of legendary yachtsman Jim Kilroy, recounts the adventures of the crews that raced a series of five Maxi race boats named KIALOA with great success in ocean races worldwide. KIALOA II, III, IV and V each won world championships in the 1970s and ‘80s, and KIALOA III is arguably the winningest yacht in the history of the sport. 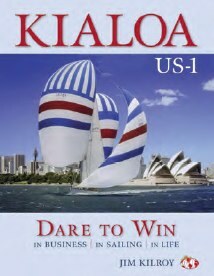 KIALOA US-1: Dare to Win is published by Seapoint Books, an imprint of Smith/Kerr Associates. It’s available at Barnes & Noble bookstores, and online at Amazon.com, BarnesandNoble.com and smithkerr.com. All proceeds from the sale of the book will go to the John B. and Nelly Llanos Kilroy Foundation to support the advancement of youth sailing and education. Jim Kilroy and his wife Nelly enjoy an endless summer by living in California eight months out of the year and in Punta del Este, Uruguay for the other four. His genuine humility is apparent in these pages, as is a strong sense of Irish pride. KIALOA US-1: Dare to Win is captivating, entertaining and inspiring. If you’re looking for a sure-to-please holiday gift for any sailor, this is it.